After a lazy morning of trying to do an update on our satellite phone we decided to check out the Main St. and a couple of tourist attractions. 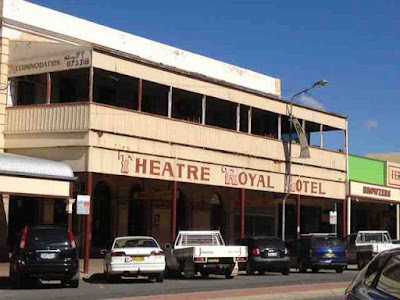 Broken Hill has some amazing old buildings and almost every corner has a pub - some still running as pubs and some other businesses now. Next it was onto an attraction called The Big Picture. Photography wasn't allowed in there so alas no photo! But it is the largest canvas painting in the Southern Hemisphere. It depicts all the regions in thus area of the outback, with the foreground made to replicate the flora and fauna. 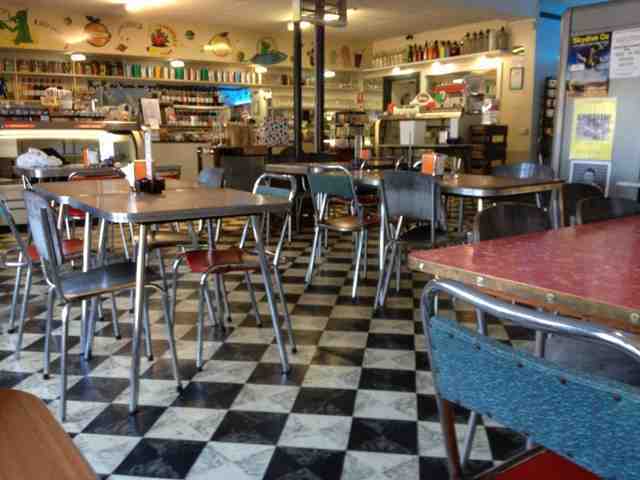 Then it was off to Bells (old fashioned) Milk Bar for a good old spider. Well actually Shane had the Blue Heaven spider, I was boring and had a good old chocolate milkshake. Might be boring but it sure was yummy. 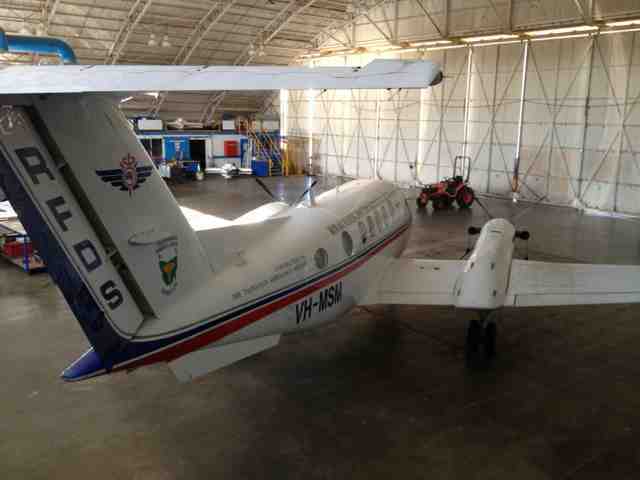 We also visited the Royal Flying Doctors Base. They do such an amazing job so I was happy to pay for a tour, which was very interesting and informative. 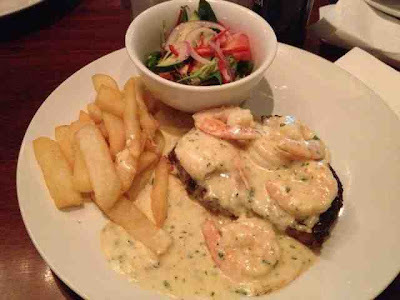 So now we have just arrived home after a beautiful meal with Zak - I had Scotch Fillet Steak with Garlic Prawn topping. Oh my it was so so yummy. YUM! That steak looks good! Sounds like an interesting place where that LARGE canvas painting was. And...look at those arborite kitchen tables and chairs!! They are hard to come by around here and there is a HUGE market for them. Nice shot Davine!